DeKalb County is represented on the Northwest Water Planning Alliance which works to create a strategic vision and plan for northeastern Illinois regional water management. Drinking Water 1-2-3 is a report by the Metropolitan Planning Council as a water supply management guide for leaders and public officials. 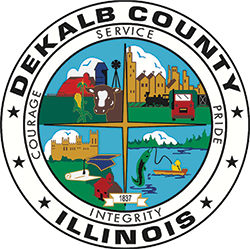 MPC’s Water Supply Action Agenda contains a Google Map inventory “Where does your water come from?” to learn more about DeKalb County communities’ water sources and those throughout northeastern Illinois.